The holiday season is fast approaching, meaning you are likely to celebrate with family and friends. While gathered around a festive dinner, you might want to be up to speed with the latest news and biggest Netflix hits. 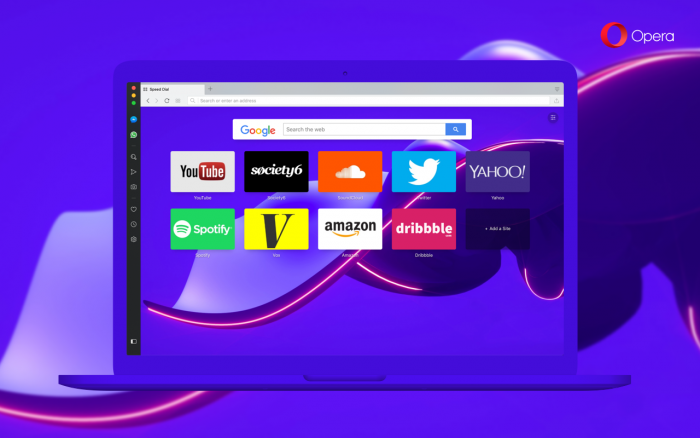 Opera 57 arrives today and includes a smarter news recommendation engine for your start page. The new version of the Opera browser makes it easier for you to stay informed on the latest news and enthralled by the latest Netflix series. Also, like and dislike buttons are on every news article for you to click on, helping Opera’s AI recommendation engine to deliver more interesting news to your start page. Add on the usual bug fixes and UI touch-ups, and you have the best Opera browser to date. Read more about it below, and happy browsing! We are happy to let you know that we have made the news section smarter. 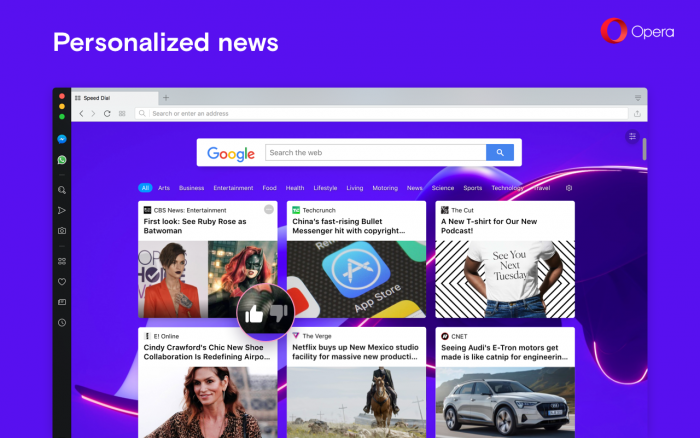 Thanks to an improved, AI-driven news-selection algorithm, you will now get personalized news recommendations on the start page. To see the news articles on your start page, scroll down below your Speed Dial folders. You will receive recommended articles by agreeing to the terms presented at the bottom-right part of the screen. You can then select which news topics you would like to see. Click the cogwheel button to the right of the topics to choose different languages as news sources. Multiple languages can be selected to make your start page an international news hub. You can also nudge the AI mechanism to offer more or less of certain news topics on your start page. Each article has like and dislike buttons, and hovering your mouse over any article will show the buttons. If you like the article and click the appropriate button, Opera will suggest similar articles in the future. That way, you will get a more personalized news experience in the future according to your likes and dislikes. Many of us face the daily issue of which series to watch next, and the urgency to find something new to enjoy is heightened during the holidays. 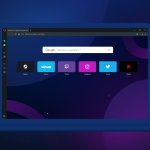 Opera 57 makes it easier for you to find your new favorite Netflix series or film in a special section in the news on the start page. 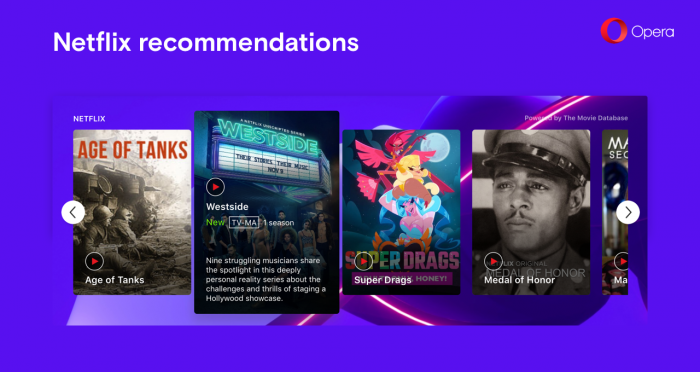 When you find something to begin binge-watching, click the recommendation to have it queued up and ready to play on your Netflix account. Netflix recommendations will be switched on in selected countries including Australia, Brazil, Canada, Czechia, France, Germany, Hong Kong, Hungary, India, Israel, Italy, Japan, Lithuania, the Netherlands, Poland, Russia, Singapore, Slovakia, Spain, Sweden, Thailand, the United Kingdom and the United States. We are in the process of adding more countries to this list. Opera 57 also features a new styling of the settings page, which has now become more compact. We have also improved the page-opening mechanism to avoid flashbang impressions. And, last but not least, you can now close pinned tabs without having to unpin them first. We hope you enjoy your new browser. Let us know what you think!